Dog toys may include just about anything that dogs find interesting enough to focus their attention on. Even simple items like twigs and pieces of cardboard boxes fall into the category of dog toys. What counts is that your dog has fun while playing with the item. Alternatively, you can also spoil your dog by buying a dynamic, interactive and super durable toy for him as a reward if his behavior has been exceptionally good. It is not surprising to find some dog owners going for toys that are cheap. While this can prevent you from spending some extra bucks, it may also end up costing you a small fortune in medical bills should your dog have a nasty experience like chewing the toy to pieces in minutes causing a choking hazard, or poisoning from the wrong kind of toy. Of course, this is not to say that all expensive toys are good or that all cheap toys are bad; the point is that as a dog owner, you have to be prudent when purchasing a toy, making sure you read the label carefully before committing to purchase it. For example, make sure the label specifies non-toxic. 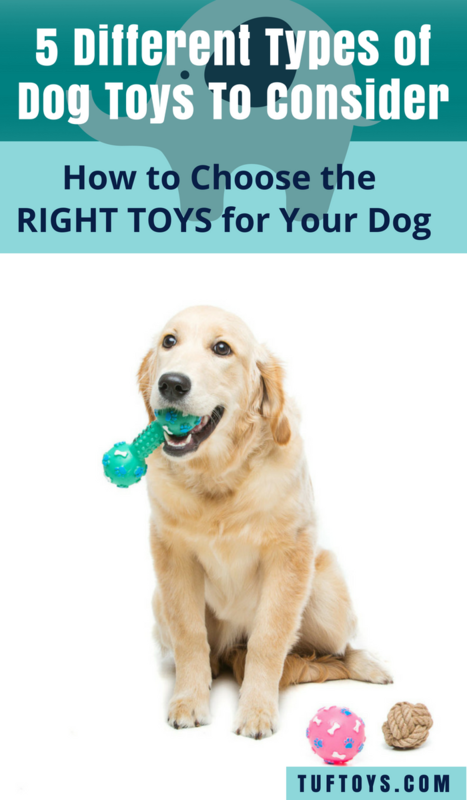 Selecting the right toy can also be made tricky by the fact that different dogs have different preferences. It’s a little like shopping for a little girl’s doll. She may love it and make it her favorite doll or she may discard it the moment she lays hands on it. 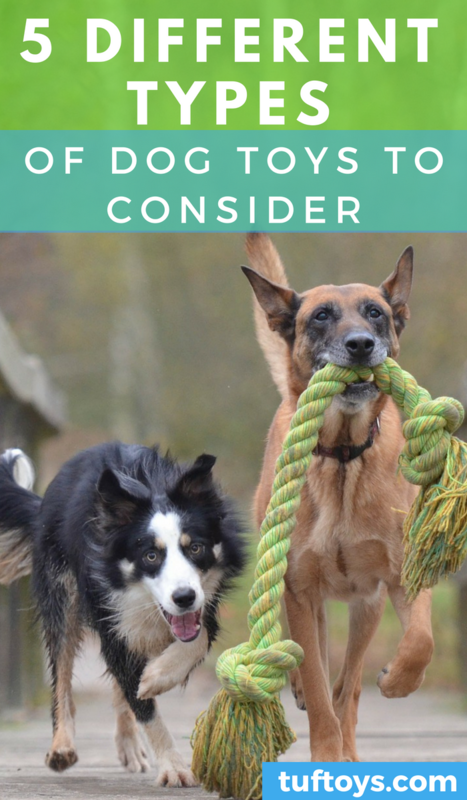 The bottom line is you should be careful what you spend your money on to avoid the disappointment of buying a toy which simply doesn’t do the trick for your canine. This may be a matter of trial and error. If you want to learn what his toy preferences are, dog experts recommend paying close attention to your dog’s behavior while he’s playing. 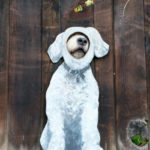 What one dog may like another may not; while some dogs prefer playing with solid plastic items, others may prefer hollow toys with a squeak or fluffy, plush ones. Armed with such information, eventually, you’ll be able to buy toys for them with confidence, without worrying too much that they’ll reject their new toy. An interesting study conducted by researchers revealed that most dogs love toys that have a short lifespan- that is – toys that can be torn apart quickly. In fact, some dogs make it their primary purpose to destroy their new toy as if this was the entire purpose! This is attributed to the fact that dogs expect a reaction from toys when they engage with them. It is for this reason that dogs adore toys that make squeaky sounds. Since these toys are typically hollow, they may not last very long with aggressive chewers who particularly enjoy the challenge of destroying them? For dogs, stuffed animals are fun to play with. Dogs often chew on the fluffy animals, toss them around and sleep with them. The best part about the toys is that they come in a variety of colors, sizes, and shapes, which makes them even more fun for the dog. Because of the tendency for some dogs to rip apart such toys, many such plush toys are now made without the stuffing so your furry friend doesn’t leave a trail of stuffing destruction over your carpet! To make it livelier, manufacturers place a squeaker or squealer inside the stuffed toy, which attracts the dog; since he associates the squeaking sound with a wounded or weak animal. 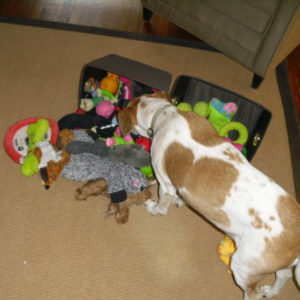 Dogs view stuffed animal toys as living animals, which they hunt down and kill when responding to their base instincts. Only after the noises disappear do dogs see the ‘animal’ as dead. Games with squeaky toys are therefore good for sharpening your dog’s hunting instincts. Dogs find it fun to have stuffed toys in their doggy beds. 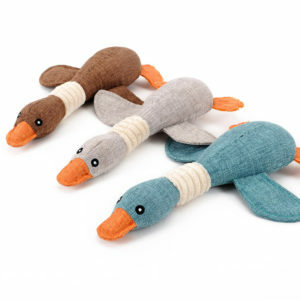 Comfort toys are calming and really soothing especially if the dog is in new surroundings. Games that the dog owner can play with his or her dog using a stuffed animal include “catch and carry” or one for hunting and killing. The best part is that stuffed animals are normally safety compliant meaning you need not worry unnecessarily about your dog’s health when you leave them with the toy. It is fun to watch your dog play but it is even more fun when you play together. Throwing the disk and watching your dog jump to catch it is as exciting and entertaining as it can be. Frisbee disks are designed as an interactive training tool to make your dog even more active than simply walking alongside you. They allow you a little more rest while they help dogs stay in tip-top shape. After all, most dogs are full of beans and like to be more active than their owners. 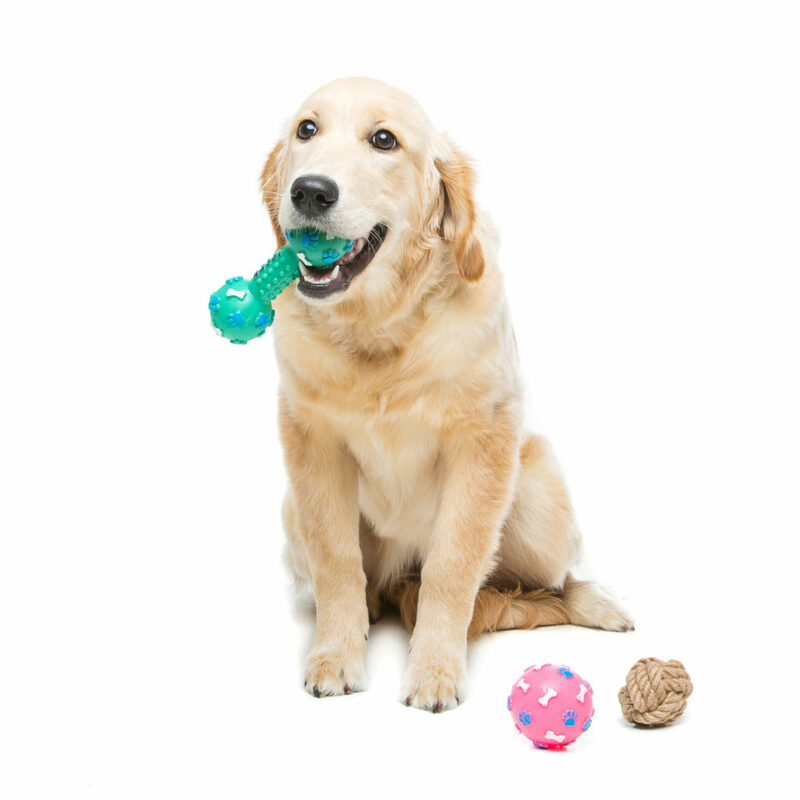 Balls that can be used as toys for dogs include squeaker balls, rubber balls, foam balls and plush balls. While some of these balls glow in the dark, others float, making them more pleasant to play with. These products are a great way to keep your dog constantly engaged. Dog owners can engage their companions in a fun game of fetch to improve their relationship. Rope toys are made in different lengths and are used in the game of tug-of-war. 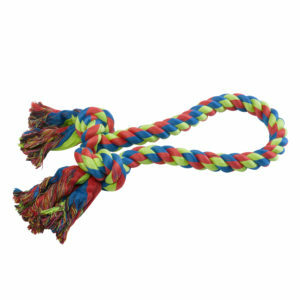 The ends of the rope are twisted and can be tied in a knot making it easy for pups to chew on. Since most dogs like to place things in their mouths as one way of having fun, rope toys with twisted edges are good for such activity. They ought to be soft enough for easy chewing yet, at the same time, be durable enough so they don’t disintegrate into small pieces that your dog could choke on. As a dog owner, you ought to be extra careful not to turn fun into a nightmare. Puppies chew to soothe gums and loosen puppy teeth. Chewing for dogs eases tension and helps their gums and jaw muscles to be strong. Dogs also find chewing entertaining and a nice way to pass time without causing trouble. By chewing on rope toys, dogs feel content with themselves. Besides TufToys, we’re sure you’ve heard of the Kong brand. They manufacture a durable treat ball which dispenses products that operate on the theory that dogs love to work for their treat. Other examples of Kong toys that are filled with small treats are some of their maze puzzles. Once the maze is completely full, it is hard for the food to come out. The dog has to roll it several times before he succeeds. This serves the purpose of keeping the dog occupied especially when you’re not at home or when you’re busy. It also keeps your dog entertained and allows them to play and exercise on their own. Aggressive chewers can work their teeth on the toy but it will remain virtually indestructible to all but the most more aggressive chewers. 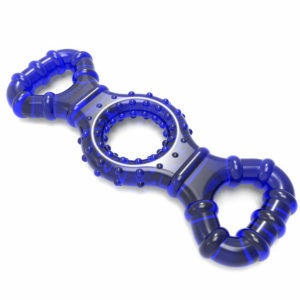 Zogoflex is another example of a treat toy that dog owners can reward their pets with. It has an inner lip for hiding treats which adds to the fun and challenge. You do not have to fret about the health risks since it can easily be washed. Moreover, it is recyclable, making it environmentally friendly as well. Before you buy dog toys, you should consider if they’re likely to pose a hazard to your dog. A toy can be a safety risk depending on the size, level of activity and preferences of your dog. 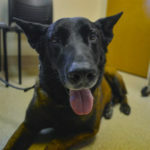 The Humane Society of America points out that often the very things that attract your dog are the same ones that are pose a threat to his wellbeing. To counter this you need to dog-proof your house by removing strings, rubber bands, ribbon, kids’ toys, pantyhose and any other item that can be swallowed. You should also get the appropriate toy size for your dog, as toys that are too small can easily get swallowed, or become stuck down the throat. When playing with smaller squeaky toys, your dog runs the risk of ingesting the toy and you should make a point of supervising this type of play. Larger squeaky toys pose less risk though are still susceptible to being torn apart by an aggressive chewer intent on doing so. Toys which break into pieces or are torn, and that can be chewed off or swallowed should be mended to make them dog-proof or discarded altogether. You should check the label to see if it says “safe for children under 3 years”, and make sure they don’t contain fillings that are dangerous – these include polystyrene beads, nut shells, and even “safe” stuffing which isn’t really digestible. As for rawhide chew toys, you should check with your vet on which ones are safe and suitable for your dog. Only let your dog play with them when you’re supervising as they too can pose choking hazards.